Liverpool are one of the clubs in with a chance of signing Lyon forward Alexandre Lacazette, claims respected French journalist Julian Laurens. He reckons the Frenchman will depart the Ligue 1 club this coming summer, with the Premier League the most likely destination. “I think he will go to England,” Laurens said on BT Sport, cited in the Echo. Lacazette is a prolific goalscorer in his homeland, but at 25, it’s time he tests his mettle in one of Europe’s best leagues. 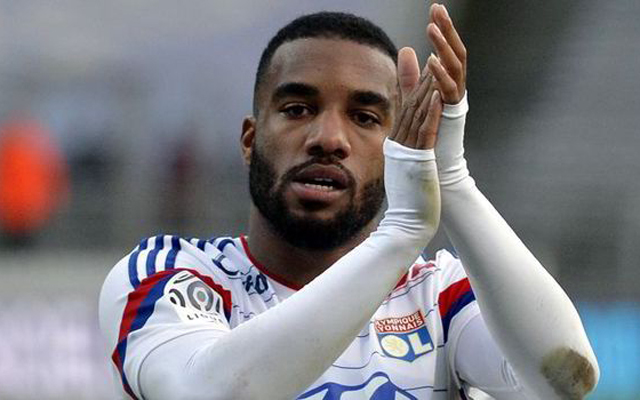 For Lyon, Lacazette has 119 goals in 262 games, breaking the 20-goal barrier in each of his past four seasons. He’s quick and is a terrific finisher, providing what Daniel Sturridge used to before he lost his legs. On paper, Lacazette would be a fantastic replacement for Sturridge, who looks unlikely to stay on past this campaign – having fell down Jurgen Klopp’s pecking order. Liverpool’s boss deploys Roberto Firmino up top instead, but the Brazilian has only bagged in one of our last 11 games and doesn’t find the back of the net with enough regularity. Providing Lacazette can press and contribute defensively, he could definitely add something to our squad, but it depends if Klopp is willing to spend such a large sum on a forward – which would eclipse our transfer record.